As owner and the Director of City Pointe Beauty Academy Sherry has experience in business education, marketing and management, she brings more than 30 years experience in business growth and development to the school. As the Director she oversees all aspects at the school including student records, student lab, (salon area), hiring educators and support staff, curriculum, the purchasing of student materials and products as well as marketing activities. She is at the Academy on a daily basis and is devoted to the success of the students that choose City Pointe Beauty Academy. 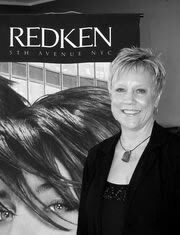 As well as her commitment to the success of the Academy Sherry is also a partner at Salon 529 in Joplin.